Amen!! I agree with all you said and couldn’t have said it better. We are blessed to have someone pouring into us and we need to remember to lift each other up and pour back into one another. Thank you!! I’m rejoicing with All of Our Sisters in Christ, that your back refreshed!!! Sure have missed you!!! 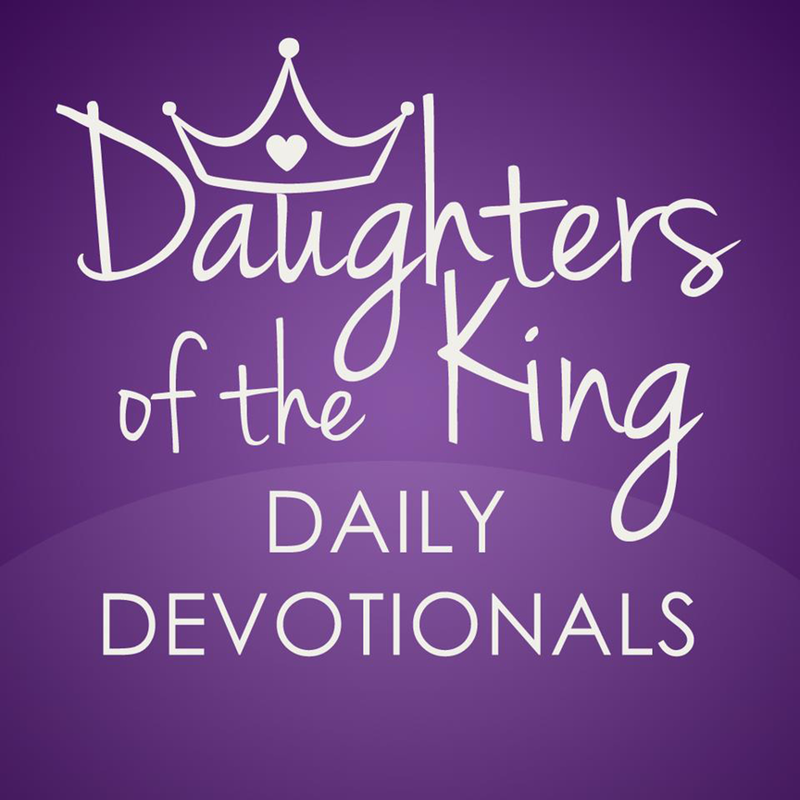 But, I have been reading along with my husband the Sons of the King Devotional!!! But, I would hit my icon for your App, and kept reading the devotional that kept saying Patience, wait on the Lord!!! So, it happened that I clicked on the Icon this morning and it read 4 hrs ago, I was very surprised, and Happy to see you back!!! I TRULY missed you, Glory be to GOD for your blessed gift in which you share with us amid GOD’s creation! Good morning!!! Welcome back sis, we have missed you and the spirit filled messages. This is for me, God knows I’m dealing with a difficult situation right now, but reminded me how to get through it. With love!! God is so awesome, it scares me at times!! But that’s exactly who He is!! Yes, Lord. Thank you for opening my eyes and my heart. Thank you for our beautiful sister that loves us more than herself. Fill her cup til it runneth over. Bless heras she blesses others. In Jesus’ name. Welcome back! I pray your time away has brought rest and Peace, His peace that causes you to fall deeper in love with Him. May you be blessed and always kept. I’ve been anticipating your return as it has been one of my joys sharing your wisdom on my Facebook page. I know that the Daughters and the Sons really enjoy the share 💜 just as much as I do. Amen, Prophet. I truly love your God Given Gifts and how He speaks through you to us. I longer for this connection and oneness with Jehovah God. Help me to do just that, I find myself falling short at times but I need to be more consistent with my walk . Thank you again Mighty Heart! Very happy you are back. As usual this message is confirmation. Thank you for your obedience. Holy Spirit thank you for helping us mature, to love like you have called us to love. Welcome Back Sister! I truly pray that God has given you rest for the continual journey! May His anointing be fresh and new each morning as you have returned to your calling and ministry! Praise God for renewing your strengthen! Blessings! Praise GOD for HIS refreshing and refilling! Welcome sis, you were greatly missed. As usual, thank you for this devotion is talking to me because right now, I need that God kind of love to forgive what is happening right now and God’s strength to pull through. Thank you for this ! I know God has been using you in ways you couldn’t imagine… but imagine God using you to help me in a tremendous way tonight… thank you for reminding me why a day, or 2 days or 3 days away from His word can be detrimental. May God continue to fill you and you unselfishly pour into others! God Bless and have an Amazing week! I am thankful to God your back, so glad you took the time to refresh yourself, there is nothing like being intune with the spirit and knowing when to rest. I pray the spirit will continue to cover and keep you, and I will continue praying for you. God Bless you. I’m so happy that your back I missed you daily I so glad GOD has refreshed you. Love you SIS.